There’s been a murder. And we need you to solve it. Susan Calman hosts as three amateur sleuths head to the fictional town of Mortcliff to solve a deadly crime. Don’t worry they won’t be in any danger as they’ll be carrying out their investigation from the comfort of the Armchairs in the studio. They’ll watch the drama play out as Mortcliff’s crack team of detectives; DI Knight, DC Slater and Scene of Crime Officer Simmons make enquiries with the local residents. But in a show where everyone has a motive it might prove harder to catch the culprit than you think. 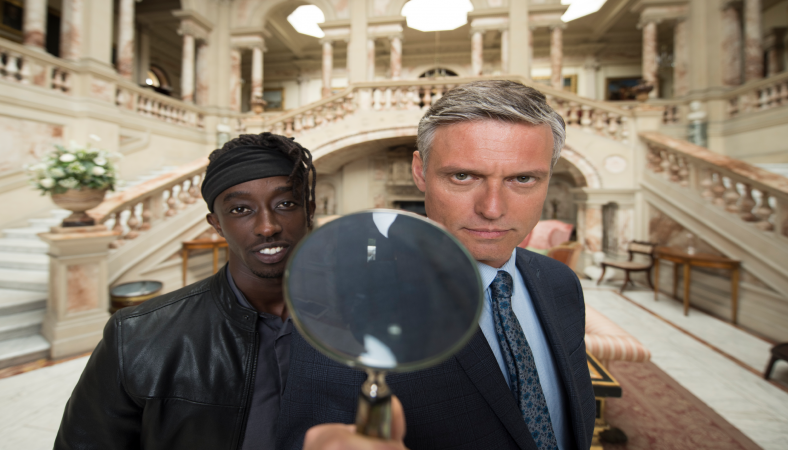 Across the show the Armchair Detectives will be introduced to suspects and uncover vital clues. They’ll share their thoughts and theories as the story unfolds before making their final accusation in a bid to win the golden magnifying glass trophy (ooh! ).